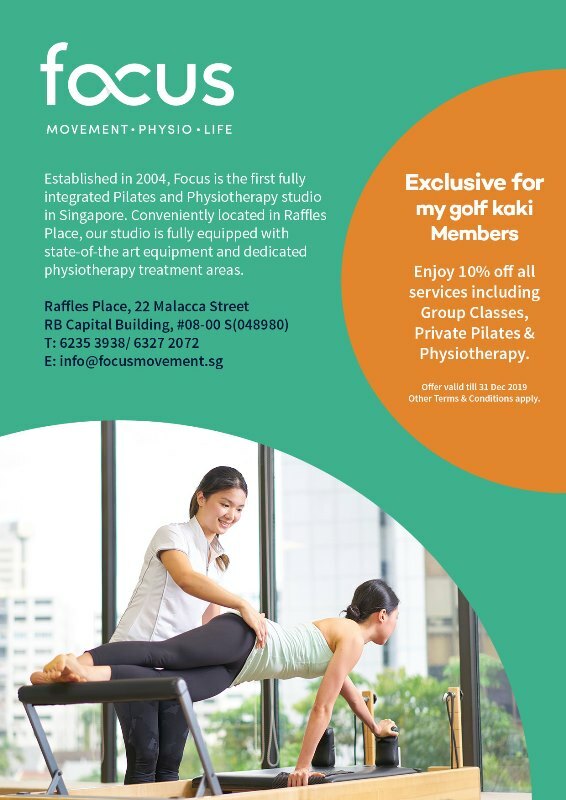 my golf kaki members enjoy 10% off all services including Group Classes, Private Pilates and Physiotherapy. Valid my golf kaki membership card must be presented at time of payment to be eligible for discount. Offer cannot be used in conjunction with any other promotion and is not applicable on retail items. Other terms and conditions apply. To make a booking or for more information, please call 6235 3938 / 6327 2072 or email info@focusmovement.sg.